From improving your smile to removing impacted wisdom teeth, the dentists at Weishaar & Weber Dentistry can perform a variety of oral surgeries to meet the needs of your whole family. Dr. Anthony Weber, Dr. Sue Weishaar, and Dr. Lori Weber perform both cosmetic and functional oral surgeries at their Spokane Valley, Washington, office. To find out if they can help with your teeth or jaw problem, call the office today to schedule your initial consultation. You can even book your appointment online. What types of oral surgery are there? At Weishaar & Weber Dentistry, Dr. Anthony Weber, Dr. Sue Weishaar, and Dr. Lori Weber perform a variety of oral surgeries. They use surgery to restore jaw and teeth function, prevent future complications, and improve the look of your teeth and smile. Many oral surgeries are necessary due to impacted teeth, or teeth that don’t grow up and out of the gums properly. For instance, wisdom teeth often get impacted and need to be surgically removed. Wisdom teeth are your last set of molars and typically erupt between the ages of 17 and 25. Also called your third molars, these teeth often don’t have enough space to come through the gums and, therefore, become impacted. That means they may grow at an angle or sideways, or stay trapped in the jawbone. If you’ve had braces or other orthodontics to straighten your teeth, impacted wisdom teeth can crowd your teeth, interfering with your results. What do cosmetic oral surgeries do? Cosmetic oral surgeries improve the appearance of your teeth, gums, or bite. Depending on your needs, these improvements are made to tooth color, shape, or size. Your dentist can also modify your teeth’s position and alignment. In some cases, only a single procedure is necessary, while some people opt for a smile makeover: a combination of treatments and procedures to revamp your mouth and smile. While many cosmetic oral surgeries are considered non-medical, in many cases, they improve your oral health and hygiene. For instance, if your teeth are highly misaligned or crowded, it can make thorough brushing and flossing difficult, but after cosmetic oral surgery, the process is much easier and more effective. 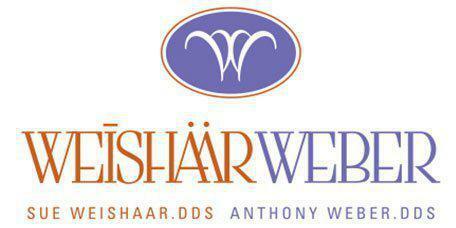 If you’re in need of cosmetic oral surgery, call Weishaar & Weber Dentistry today to schedule your appointment. You can even book online.